The entry to our premises is a shortcut street-side entry, which ensures that at no point of time will you run into other people of the building. 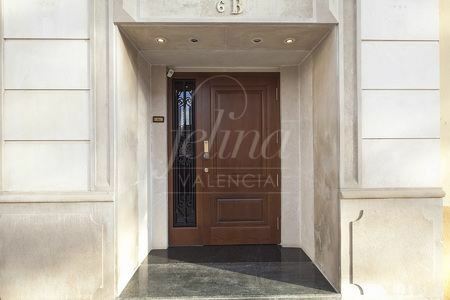 In the marble doorway number 6B you will see a small sign with the name Felina along with an inconspicuous wooden door that is always open, thereby facilitating the entry and anonymity of the clients who choose to pay us a visit. You just need to push in order to enter and access the hall of Felina, where you will be allowed to enter. The location of Felina Valencia is easy-to-access, in the Naturalista Rafael Cisternas 6b street, near the Mestalla. We have a good access to public transport, both subway Aragón and bus routes. However, you can also reach in taxi within 10 minutes from any point in the city, or in a personal car, since the area has a free and easy parking facility. All the facilities to come and see us are at your fingertips. Going to a brothel in Valencia has never been so easy and inconspicuous.